This best-selling herb ‘bible’ (in its 5th printing of 3 editions) contains a fully illustrated A-Z of herbs, chapters on propagation, organic gardening, cultivation and planning, insect repellent herbs, companion planting, medicinal uses, and much, much more. 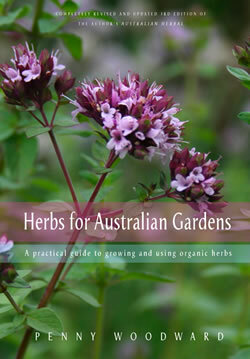 Completely Revised and Updated 4th Edition of the Author’s Australian Herbal. detailed information on a specific or range of topics.